Although we’ve long suspected it, Monkey was officially diagnosed with ADHD this year. She was diagnosed as “moderate” ADHD, but she was trying really hard to succeed on her diagnostic tests, so I think some days her ADHD is severe. Most of my family members have ADHD (including me, but I’m not official), so I don’t know why I was so surprised when I started noticing the symptoms of ADHD in Monkey. They jury is still out on Bo, but I would not be surprised if she has it, too. 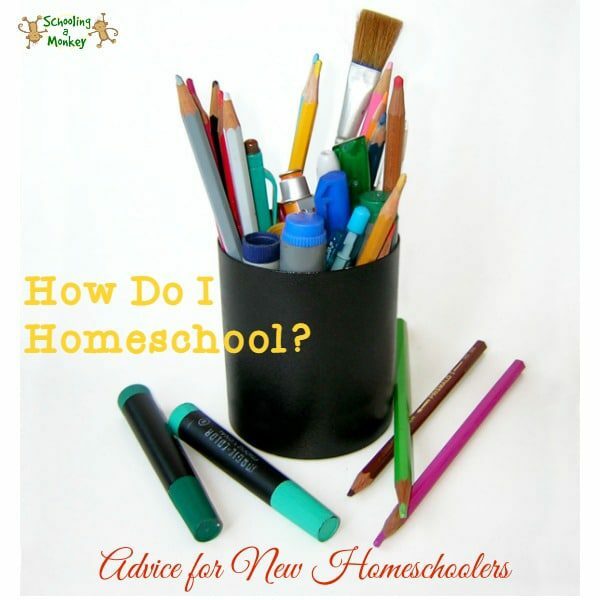 Today, I am sharing ADHD homeschooling tips from other homeschooling bloggers. It turns out, a lot of families homeschool because of ADHD or other learning differences. This makes sense, because kids who learn differently need to learn differently! 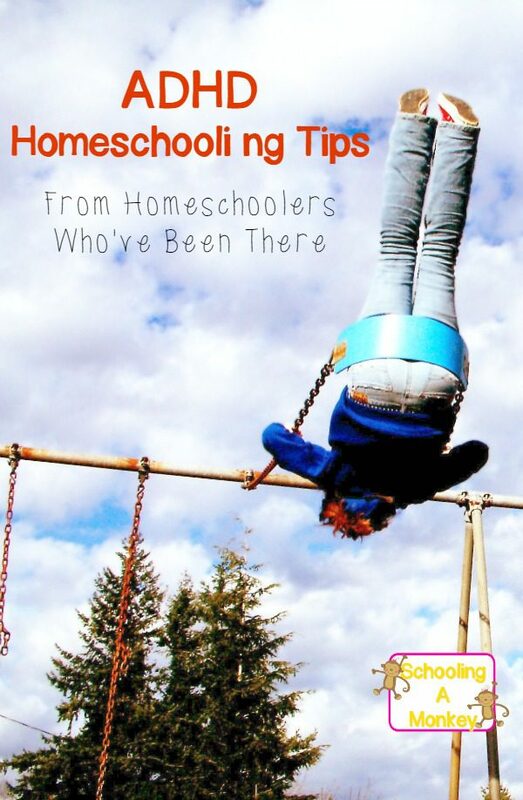 :-) These are some of my favorite ADHD homeschooling tips from some excellent bloggers. 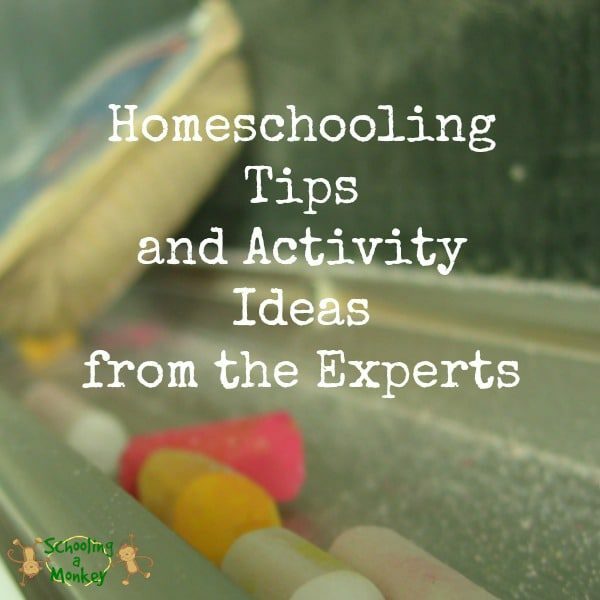 If you are just looking into homeschooling a hyperactive child, I love this resource overview from The Homeschool Mom. She offers a pros/cons look at homeschooling a child with ADHD. 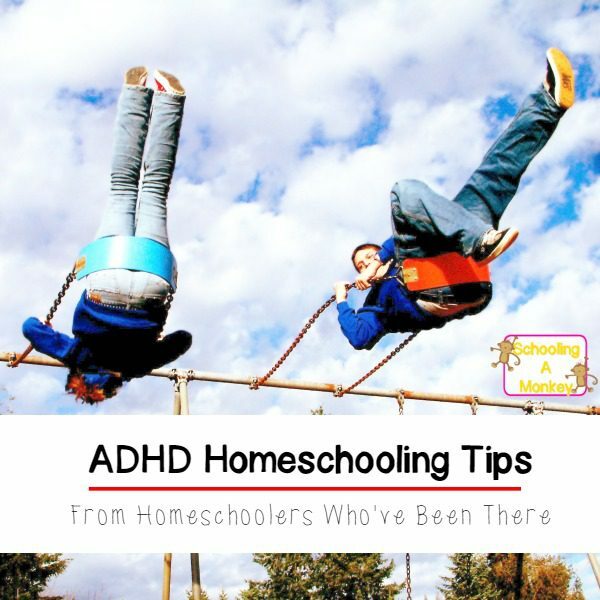 Stephanie Harrington is one of my favorite homeschool bloggers and she has a lot of info on homeschooling a child with ADHD. 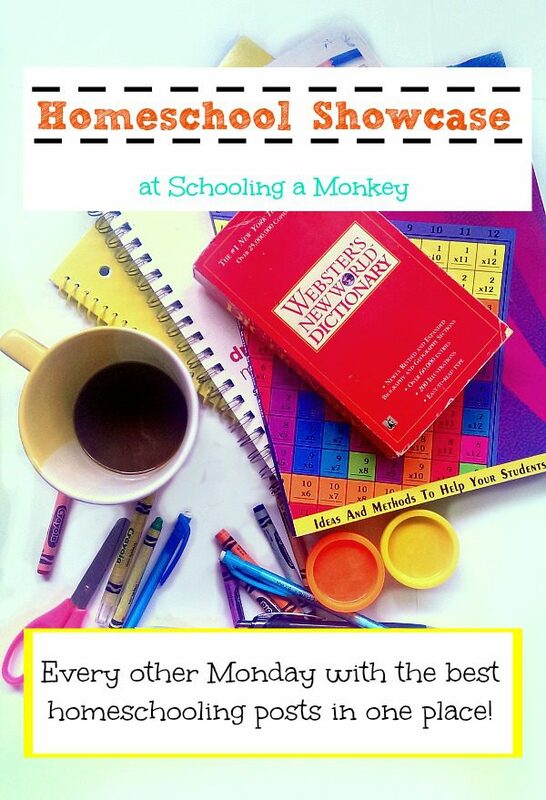 This post she wrote for Hip Homeschool Moms helps moms set aside their fears about teaching a special needs child. This post from Teach Beside Me outlines some of the symptoms of ADHD in homeschooled children. Her husband is a therapist and he was used as a resource for this post. One of the biggest things I struggle with as both a parent with ADHD and teaching a child with ADHD is managing my expectations. That is why I love this post from Look We’re Learning that is all about how to set realistic expectations for a child with ADHD and how to teach an ADD child (realistically). My kids fidget constantly while doing school (so much so that it is much more likely they will be squirming on the floor during a lesson than sitting in a chair the way you are meant to). 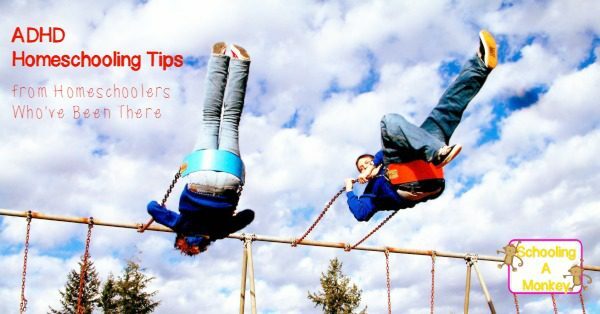 I’ve found that some tools really help focus fidgety kids who cannot sit still. 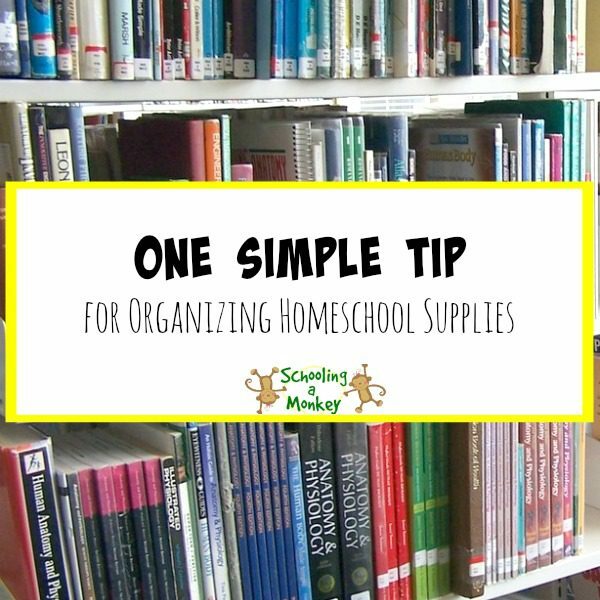 This post offers a ton of resources for homeschooling children with ADHD (and other learning differences). You can absolutely homeschool a child with ADHD. All it takes is a bit more determination, stubbornness, and a lot more patience. Want to join the fun? 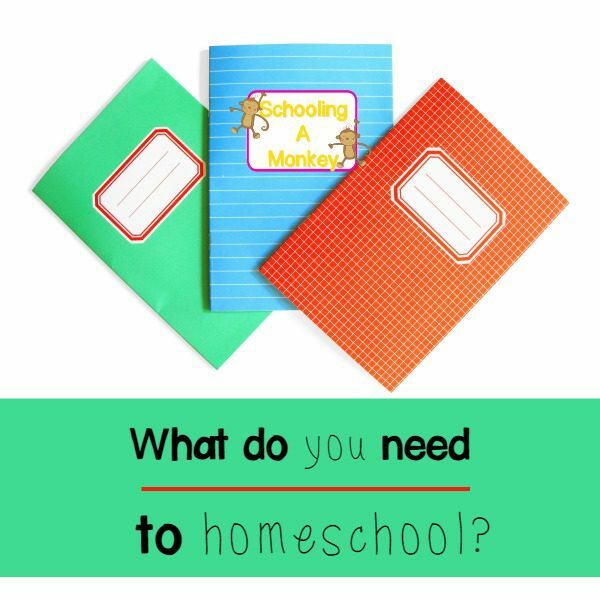 Come submit a post to the next edition of the Homeschool Showcase, live every other Monday here at Schooling a Monkey.com. Submit right now, so you don’t miss the deadline! Never miss a showcase post! Subscribe here.